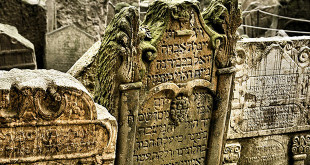 There is a story that Rabbi Pinkas had a dead monkey thrown through his window. However the pranksters did not know that the monkey had swallowed some gold coins belonging to its master who was a goldsmith – the monkey had been trying to imitate the master biting the coins for authenticity. Rabbi Pinkas noticed that the carcass was unusually heavy and so cut it open to find all the coins. 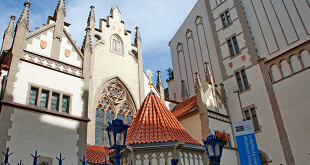 He dedicated the gift to the building of this synagogue. 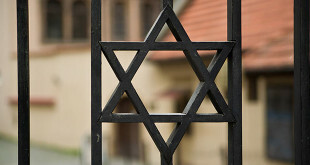 Story aside, the Pinkas Synagogue today is the gateway to the Jewish cemetery. During communism the building was closed for restoration, during which time all the names of holocaust victims inscribed on the walls were unfortunately erased. However a new project endeavoured to restore all 77,927 names to their rightful place and they now cover the entire interior. 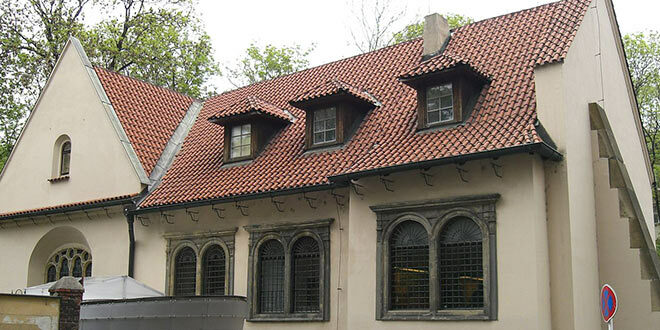 The Pinkas Synagogue was founded by Aaron Meshullam Horowitz who had it built in 1535 between his residence and the Old Cemetery wall. The building juts out from the cemetery wall and is below the present street level. Inside, there is a small courtyard with two doors, one to the synagogue, and the other to the Old Cemetery. A tree is growing right by the access inside the courtyard. 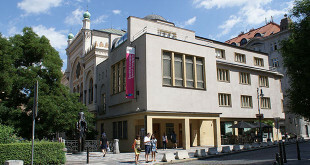 The Pinkas Synagogue was first turned into a memorial to the Czech Holocaust victims in 1958. Ten years later, following the Six Day War in Israel in 1967, the Communist government of Czechoslovakia closed the memorial and removed the names from the wall. After the fall of Communism in 1989, the names were painstakingly rewritten on the walls of the synagogue between 1992 and 1996.